Seems like there are quite a few Rangers this challenge which are getting back to (or are continuing) a lifting routine. That's why me and @jonfirestar thought it would be fun to bring us all together in one thread so we can thrive off of each other, in a friendly competition kinda way. That way we can update with our last training results, calculate an estimated-1-rep-max, and thanks to the wilks points compare to each other. People who aren't familiar with RPE E1RM and Wilks points. I will elaborate in due time. So if you are in need of some friendly lifting competition, sign up and post your last workout, so we can get this party started! Also if you have good ideas for how to format this thing, let's hear it. It's suppose to be a fun competiton, aimed at excelling in our lifting workouts. Now i will be off, visiting the rangers i know that are lifting this challenge, if you know a Lifting Ranger that i haven't visited yet, feel free to direct him or here! And if you have any personal questions, DM or tag me! I'm intrigued... Not quite sure what my goals will look like yet, but I like the group accountability. Definitely wanting to get back to some kind of lifting program this challenge. I'm in! I'm in. Let's get this party started. I wantz it ze preciousss!! Hehehe, all good. Here is an example of how i envision this little competition. Like i mentioned i want a way to let us all compete with each other. I know for myself i thrive on a little friendly competition. So i was thinking about a way to be able to compete against each other, no matter what gender or weight you are. So i have come up with somewhat of a formula. RPE stands for Rate of Perceived Exertion. If you never heard of this you can follow the next links. It's a system to evaluate your lifts, thought up by Mike Tuchserer explained in text here and on youtube by Alan Thrall in part1 and part2. Now i haven't been working that long with RPE scores, and they can be pretty hard, especially if you go lower than RPE 7. But don't overthink it, any guesstimation is good, remember this is a friendly competition, and you putting up bigger numbers than me is just going to make me go harder! With those 4 pieces of information i can calculate an e1RM per type of exercise. This is a calculated, estimated, 1-rep-max. So now we have a score, which "should" be mostly equal for men and women of any weightclass. So i want to make a (google) spreadsheet, with a list of exercises everybody does, putting in the names of everyone that wants to join, and if you post your numbers here i can recalculate them into a Wilks score and it should be pretty easy to compare yourself to other Lifting Rangers. Now i will start by posting the numbers i have since i started my new weightlifting program last sunday. Please let me know what you guys think of the format and if this somewhat workable or if we have to completely overhaul the mechanisms! Remember it's supposed to be fun, so anything goes! Okay let's see if I understand this using yesterday's workout. What are you using to calculate the e1RM? The rest of this workout was bro stuff and pullups so we'll ignore that. But i am willing to make the conversions for everybody, if they just put up the numbers from lifting together with their weight (and gender) of that day, i will make conversions and put them in a google spreadsheet for everyone to see. I can't agree to those terms Especially since both 5,3,1 and the Juggernaut Method, two very popular powerlifting programs, use AMRAP sets that can and should be more than 10 Reps if you can manage it and I'm sure going to be lifting more than 10 Reps when I do my deadlift set tomorrow. What's the formula on your excel sheet? I'll either add something into my own spreadsheet that I am using to track my training or I can cobble something together so that everyone can use it? I'm going to go out on a limb and say that I think the 1rm estimation I used previously, which was the Epley Formula and doesn't take the RPE into account, might be more accurate since I estimate my own potential 1RM to be between 195 and 200lbs but I'd like to compare things to the formula you are using. 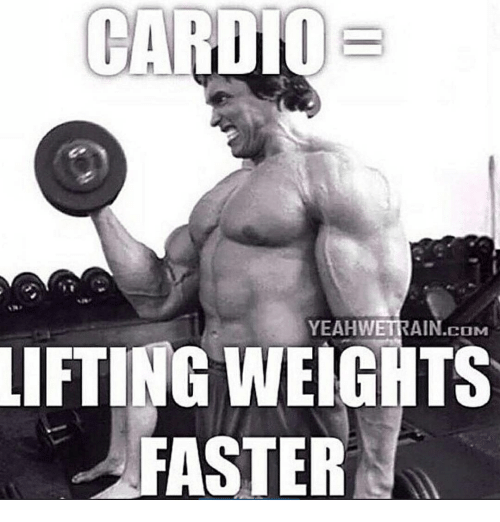 Alternatively we could just use a different formula for when the reps go over 10. https://strengthlevel.com/one-rep-max-calculator it gives lower overall numbers but it'll still work. Saves my brain power if you use it. I suppose you will want me to convert my weights from kilos to pounds. I love the nerd-heavy air in here. I have no clue either way, but I love the conversation! Discuss! Not necessarily i do my own lifting in KG, i have an excel sheet set up that converts. So you (we) are all good! LOL, that's what you get setting up a competition amongst likeminded nerds! I just burst out laughing reading that first line! Especially since both 5,3,1 and the Juggernaut Method, two very popular powerlifting programs, use AMRAP sets that can and should be more than 10 Reps if you can manage it and I'm sure going to be lifting more than 10 Reps when I do my deadlift set tomorrow. I took the easy road cause even though i have the excel sheet i don't want to pick it apart. I'm pretty sure it will be one of those rabbit holes. I briefly ventured on the rims of said rabbit-hole, but i'm not going in, my excel-fu is not good enough to understand this. this is one of the few places I feel totally comfortable just letting the nerd loose and having fun with it! You could accidentally just copy the formula and paste it into a whatsapp message with my phone number on it. Just sayin. I actually don't have a problem with purchasing a program except the Bridge 3.0 wouldn't be the first one I buy from BBM - I'm very probably going to use one of their GPP templates for when I come off of my current strength block since that would nicely slot into the time I have between the end of the strength phase of my programming and when I do my first Ultra OCR. Looking at the formula is mostly to satisfy my nerdy curiosity but if you want to crunch the numbers go for it. Did my own estimation of the bench come out close? Did my own estimation of the bench come out close? Sweet, i'll try to set up an google spreadsheet tonight and will link it here and in the firstpost. and I intend to begin weight lifting on Friday. I will try to figure out how to calculate them. lets do this! how does this go again- you pick up the magic sword and go "by the Power of grayskull", right? by the Power of a Wilks of 59.78! ... but if you guys Insist! or is it better to estimate your rpe? Basically RPE comes down to, how much do you have left in the tank. So this always a guesstimate, you have to guess what you got left in that set. This also means that for the same exercise an RPE9 the weight could be 100 or 150, depending on what kind of set you are working. is this a RPE of 10? but... I've already done that motion 15 times; it can't be near my my 1 REP Max. ? my feeling is that I'm best to get my heart rate; get the average Heart rate, subtract from resting pulse and divide by 10.
is pretty darn close to what I did before. 2 alternating workouts- both of which are "full body". 3 sets of 5. add little amounts of weight frequently. I held it together for about half a year and progressed nicely. so... BRUTAL is brilliant! I totally need to get back to it.